The Mini System is the first Kaleidescape product to integrate a complete multi-zone Kaleidescape System into a single component, and the first to include a remote control. Because the purpose of the media server (storage for all of one’s music, video and/or other digital content) is easy enough for most customers to conceptualize, they can see how it can seamlessly integrate into their lifestyle. “We highlight other features that offer tremendous benefits such as the ability to view digital photos from your couch rather than huddle friends and family around their laptop, sharing content with a portable device while maintaining full collection and 24/7 access at home, Internet-friendly services such as Rhapsody and other popular content sites,” said Russ Pritchard, president of The Audio Warehouse, based in Charleston, South Carolina. Pritchard recalled the evolution of the media server for his company. It started with CD management and a shared GUI for major control companies, then DVD capability was added, followed by iTunes interoperability. Next came the trend of value-added services such as photo and Internet access. “Now, vendors are getting out of hard drive business and making their servers compatible with lower cost off the shelf storage through USB connectivity,” he said. 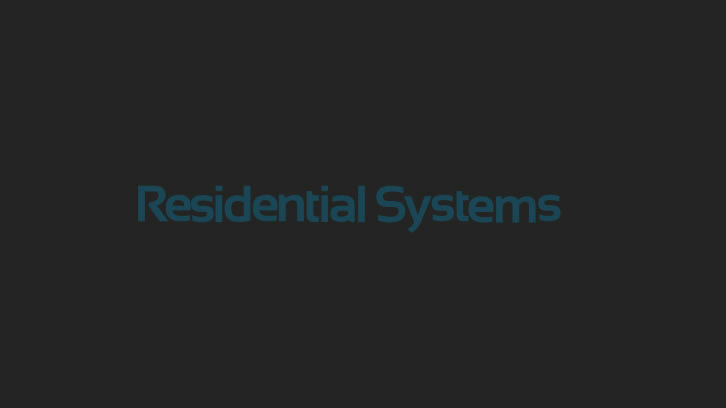 According to a joint study of nearly 400 U.S.-based residential electronic systems contractors (ESCs) by Residential Systems magazine and Parks Associates on media servers, 78 percent of dealers now sell media servers, up from 66 percent two years ago. Almost half of AV systems installed in 2009 are expected to include media servers, up from 42 percent in 2008 and 28 percent in 2007. In a climate where new housing starts are down, and as a result, new business is hard to find, contacting past customers to sell enhancements to existing systems lends an opportunity for additional revenue. Most installed home theater and multi-room audio systems don’t have media servers, but the value is demonstrated easily by integration professionals. Plus, docking stations for portable media players, such as the iPhone and iPod touch, are popular and offer a low-cost good excuse to get back in touch with former clients. Back in 2005, audio-only servers accounted for 75 percent of sales, today that figure is only 40 percent. In fact, 13 percent of respondents have no plans of selling audio-only media servers. One year ago, that number was zero. However, dealers fully expect sales of video servers to increase in 2009 from 2008. They expect to sell 17 video servers in 2009, up from 11 in 2008. On average, dealers figure that they will sell nearly 30 servers each in 2009, versus 22 in 2008. And nearly all dealers selling media servers expect them to replace DVD/CD jukeboxes once DRM issues are resolved. Some dealers are finding that the iPod has taken over as the preferred audio server for many consumers. “Seems to me, lately, that the server of choice for music is the iPod,” said Ryan McDaniel, president of Westfield, Indiana-based One Touch Automation. “We used to install ELAN’s Via DJ! quite a bit, but it seems like in the last couple of years, most clients feel their iPod and iTunes can take care of their audio collection. Pricing appears to confirm this trend. This year, audio servers are expected to drop 30 percent in pricing to $2,900 from $4,100 in 2008. Meanwhile, video server pricing is expected to remain firm at $9,200. Ask 400 dealers what they consider the “Top Three Brands” of media servers and you will get 40 different brands, literally. Escient was mentioned as the top brand by 39 percent of dealers. The next most frequently listed were Russound, Kaleidescape, ReQuest, and Crestron (in that order), but they were named by only 21 to 25 percent of respondents. So that should give some encouragement to Control4 and Niveus, among the brands that appeared to advance the most from 2Q07 to 1Q09. Since 60 percent of dealers said that they only sell manufactured systems, and 32 percent claim to sell both manufactured systems as well as systems they build/integrate, building brand awareness is critical for vendors. What makes a great media server? According to Pritchard, it has to be easy for the end-user. This means an intuitive user interface, easy-to-load content, music and video capability, compatibility with iTunes/iPod, digital photo storage and viewing and access to Internet content. From a dealer/integrator perspective, this requires serial communication in addition to IR, two-way feedback to share metadata with control systems/devices, discrete control codes and easy/affordable ability to add storage capacity. Redundant back up or RAID capability are ideal, but do come with high price points. According to 80 percent of respondents, enhanced connectivity is “highly desirable” on future media servers. Connecting to the home network for access to shared media ranked as the number one priority. Once an iPod is docked in Universal Remote Control’s PSX-2, the user can access it through an enhanced GUI, either on a television using any programmable remote control, or directly on the screen of URC’s MX-6000 twoway touch screen remote. The jury is still out on VUDU and the impact that it will have on higher-end media server sales. McDaniel finds that with VUDU and Apple TV around, he is seeing less of a desire for movie servers. “The main reason is they deliver hi-def content where movie servers do not. VUDU has given you the movie server experience (GUI), while delivering hi-def content instantly,” he said. But Pritchard has a different take. “Based on my experience, products like Vudu and Apple TV still have little to no customer awareness. Rhapsody surprisingly seems to be coming up more and more, and most have heard of it through friends,” he said. But selling a media server isn’t necessarily a done deal with all clients. Dealers need to know their customers and what media they have in their collections. “If a client does not have a collection of CDs or DVDs in excess of 100 or a hard drivebased collection of downloaded music, it’s a tough sell,” Pritchard added. While some economic reports are offering glimmers of hope, 40 percent of integrators expect revenue to decline in 2009 from 2008. But 35 percent do expect revenue to increase. There are positive signs in the market and integrators that adjust to current conditions will emerge as strong partners for vendors. Media server vendors can help increase their sales by identifying ways to help their integrators market their expertise and the products they represent. Karen Sussman is a freelance writer in Carmel, Indiana.